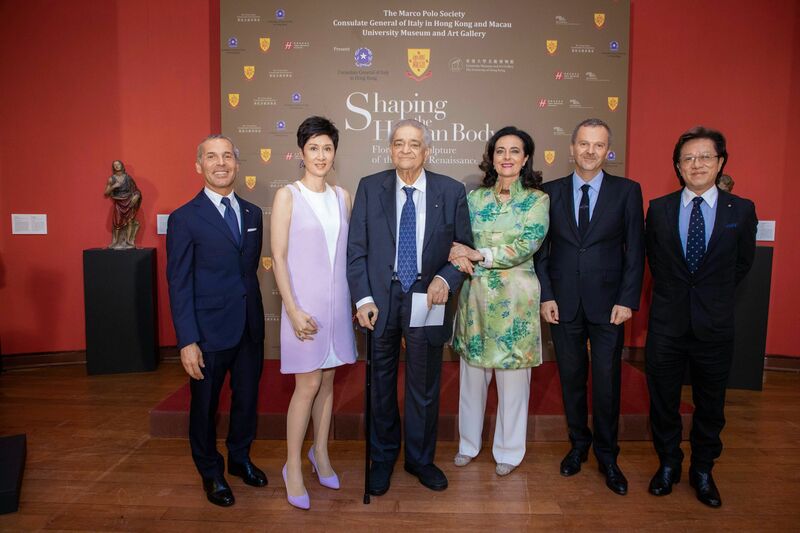 The Marco Polo Society is a non-profit organization that fosters cultural exchanges between Italy, Hong Kong, Macau and Mainland China, and after being appointed as the Marco Polo Society’s chairman, Michelle Ong set her sights on showcasing Italy’s artistic legacy in a big way. Shaping the Human Body: Florentine Sculpture of the Italian Renaissance is the first of many projects to come, the exhibition showcases ten masterpieces from different masters of the Renaissance era including Donatello, Giovanni della Robbia and Valdambrino. Most of the sculptures on show belong to prominent private Italian collector Luigi Bellini, and the exhibition is a collaborative effort by Michelle, Italian Consul General Antonello De Riu, William Figliola, the founder of the Italian Arts Foundation and Florian Knothe, the director of the Hong Kong University’s Museum and Art Gallery. The exhibition is open to the public and will run until August 12, 2018. David Cheung Cardiothoracic surgeon; active in medical publishing and technology. Christopher Cheng Chairman of Wing Tai Properties and Winsor Properties Holdings; married to Ivy. Daryl Ng Deputy chairman of property conglomerate Sino Group; founded the Heritage Conservation Foundation in 2008. John Tsang Hong Kong’s moustachioed Financial Secretary since 2007. Carol Murray Managing director of family stockbroking and property firm Zimmerns; supports the Hong Kong Arts Festival and Maggie's Cancer Caring Centre. Wendy Kwok Supporter of numerous Hong Kong charities; wife of the late Walter and sister of plastic surgeon Daniel Lee.